Lincoln Cottages Self Catering - Lincoln Meade Accommodation. 11/40 - Chateau Cottage - the largest of all our self-catering cottages. 21/40 - Cabernet Cottage - smooth on the eye and exquisite on taste. 24/40 - Merlot Cottage - classy, modern day jewel of accommodation. 28/40 - Nederburg Cottage - this quaint cottage is home away from home. 32/40 - Backsberg Cottage - this cottage sleeps up to three people. 35/40 - Obikwa Apartment - this apartment is attached to the main house. 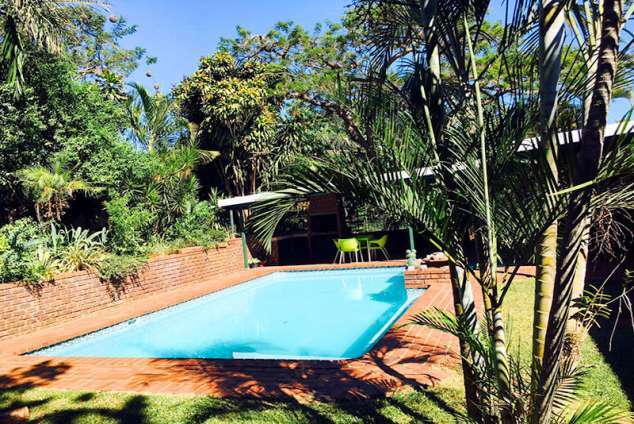 Lincoln Cottages is nestled amongst indigenous Acacia trees in the tranquil suburb of Lincoln Meade, Pietermaritzburg. We offer an ideal base from which both the business man and holiday maker can operate from, be it for that business convention lunch, or participating in the varied sporting events that Maritzburg is frequently host to, or simply to explore what our region has to offer the tourist. Pietermaritzburg is the hub of the Natal Midlands, and is the Capital of Kwa-Zulu Natal. The City therefore plays a leading role in the economics of the region. Lincoln Cottages spans more than three quarters of an acre and comprises of four fully self-catering cottages which are able to sleep up to 16 guests. Our Cottages are all fully Self Catering, with superior decor for the discerning. When we say we are "self-catering" we justly mean it! All cottages are equipped with everything that one would need to cater for the needs of those who require a "home away from home"
Fully equipped kitchen - stove, microwave, wash up facilities, fridge, deep freeze, kettle, toaster, bread box, pots pans, Utensils, and crockery. This quaint cottage is home away from home. It has a separate bed room and open plan lounge and separate kitchen, and is serviced by a quarry tiled shower. The main bedroom is equipped with a queen size bed and two single beds are provided in the lounge area. It has an undercover outside patio area which is situated under a majestic Acacia tree. This cottage sleeps up to three people. It is essentially one large room equipped with two single beds and a sleeper couch. The kitchen is also located within the room and is fully equipped with granite work tops. There are separate wash up facilities and an on suite shower area leading off this room. The unique feature of this cottage is the covered outside patio that has the best views of the gardens, and faces the communal braai area. This apartment is attached to the main house. It is tastefully decorated and comprises a main bedroom equipped with a queen size bed and an open plan kitchen / lounge area which can accommodate 2 single beds. It has a separate baby's room equipped with a single bed. This is the largest of all our self-catering cottages. It has two rooms, the main bed room is served with a king size bed (2 single beds together) and second bed room is equipped with two single beds each, and a further two beds are located in the lounge area if required. The kitchen boasts fully fitted cherry wood cupboards with granite work tops, complete with a hob and oven as well as a breakfast nook. The bathroom boasts both a shower and a bath. Lincoln Cottages is also centrally located to many of the various schools, hospitals and recreational facilities. Detail description : Lincoln Cottages was conceived, designed and landscaped by Ken and Monica Phillips. The tastefully decorated Cottages were hand built by the owners, and therefore the accommodation which is offered bears a reflection of love and commitment to excellence. Majority of cottages have safes available. 1651 page views since 22 Mar, 2018.